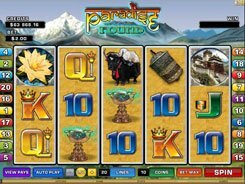 Paradise Found is a 5-reel 20-payline video slot themed around adventures and Tibet. 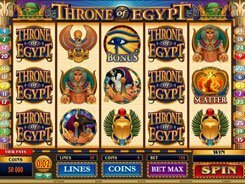 The game has wild and scatter symbols, a bonus feature and a non-progressive jackpot of $20,000. The symbols are four playing cards, adventurers, golden cups, prayer wheels, yaks, Tibetan temples and lotuses. 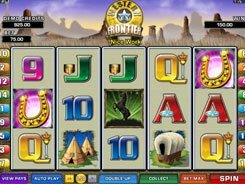 Betting options are very flexible and are suited for both low rollers and high-limit players. 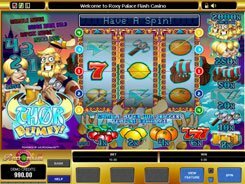 A player can adjust the number of coins (up to 10) per line, and choose a coin size from a penny to $1; therefore, a total bet per spin may climb up to $200. 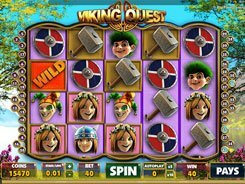 The abovementioned fixed jackpot is paid out for five scatters (Adventurers) appeared anywhere on the reels. There is a wild symbol in the slot depicted by the Lotus. It substitutes for other regular symbols, but the only limit is that it lands on the leftmost reel only. Besides, if you hit the wild on reel 1 and the Tibetan Temple on line 5, you unlock a Wild Lotus feature. In the Wild Lotus feature, the reels will be frozen for the duration of the bonus game, with the symbols on it that have appeared just before the feature. 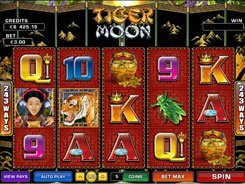 The wild Lotus will randomly land on the reels for ten times in a row, thus creating great chances to win big.